I’ve never played a Hauser but the sound of his work can be heard on many of Andrea Segovia’s recordings. This was my introduction to the man and his work. 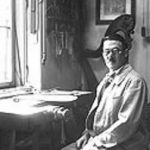 German luthier Hermann Hauser I (1882-1952) is best remembered for the remarkable instruments he built in the Spanish tradition after 1924. 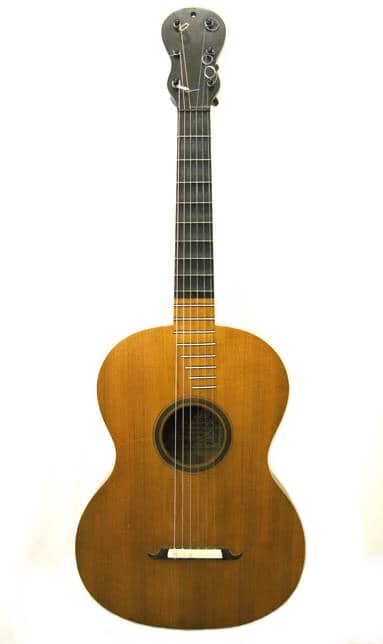 Segovia encouraged Hauser to copy his 1912 Manuel Ramirez guitar (an instrument generally believed to have been built by Santos Hernandez the foreman of the Ramirez shop). 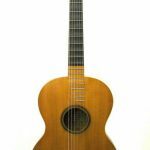 Hauser also had access to an 1859 Antonio de Torres which influenced him also. 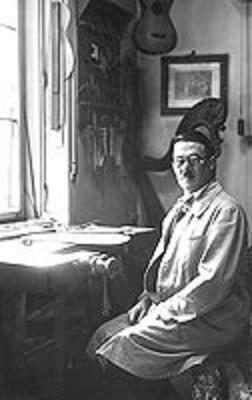 Although Hauser began building in the Spanish tradition in 1925, he continued building Vienna models well into the 30’s – work in what is often referred to as the Stauffer school. 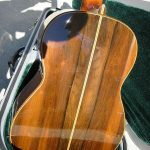 It is this work that interests me the most as it has more in common with steel string guitar design than the Torres/Ramirez tradition – Stauffer trained a certain C.F. Martin who decided to leave Austria for America and the rest is guitar history. The influence of Hauser on my work is both aesthetic and structural. 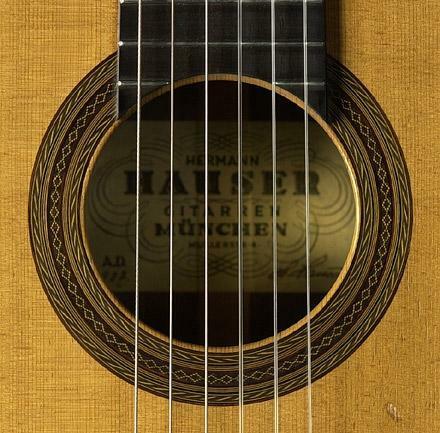 Hauser is another maker who I believe “had a good eye”. It was one of his 1930’s guitars in a museum in Rome that made me want to experiment with an even more limited visual palette than I was already. Many of my rosettes in the last few years have featured heavy black lines balanced with delicate purflings, and Hauser is the main inspiration behind this. 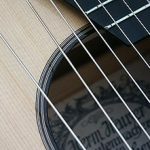 Over the years I have tried a few of these ideas in my work – rosettes, bindings, the banjo headstocks and more recently the round ended bridge, sometimes used by Hauser, and later by Martin on their Classical guitars. As well as looking rather nice this way of building has the structural benefit of not creating a pressure point at the end of the bridge which can cause splitting and deformation. 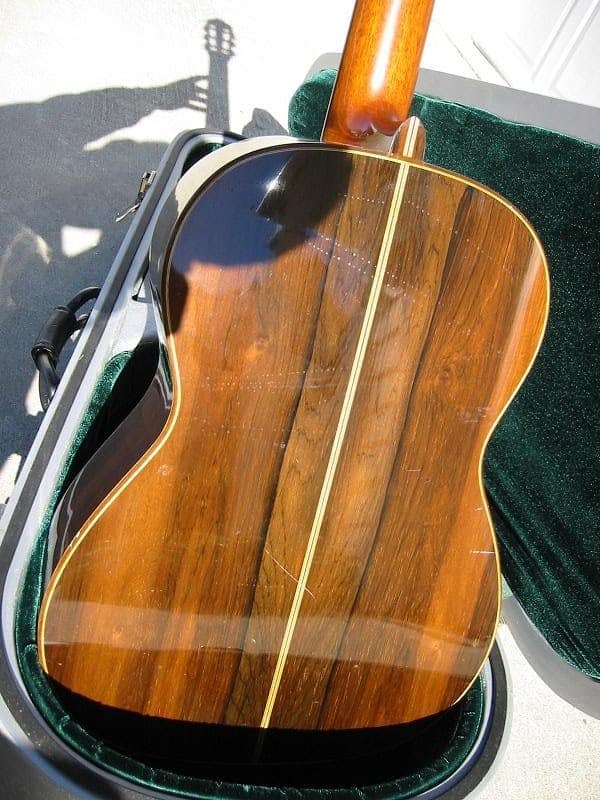 NK Forster luthier, Newcastle upon Tyne, England. 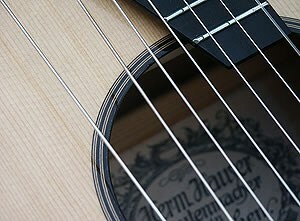 Maker of Guitar, Bouzouki, Cittern and Mandolin.